October may now be over and the whole ton of new Xbox One games that it delivered will no doubt be tiding us over for many months yet, but November is now here, and whilst it doesn’t quite live up to the madness of the month preceding it, it really isn’t there far off – besides we’ve got a host of Xbox One X enhancements to look forward to! Yes, get your wallets ready as there are a number of new Xbox One and Xbox One X titles lining up for a release onto store shelves over the next few weeks. But what are they? We take a look. Remember, these are just the titles listed for physical store releases, and you can expect many more to come into play via the digital goodness that the Microsoft Store also brings. You can of course pick up everything below digitally too – should you be that way inclined. I guess we have to start this list with the biggest release of the month – and one of the most anticipated releases of the year. Can Activision and Sledgehammer Games deliver the Call of Duty experience that many gamers have been crying out for? Can they ditch the questionable decisions of the past few games and concentrate instead on giving us what we want – all out warfare? 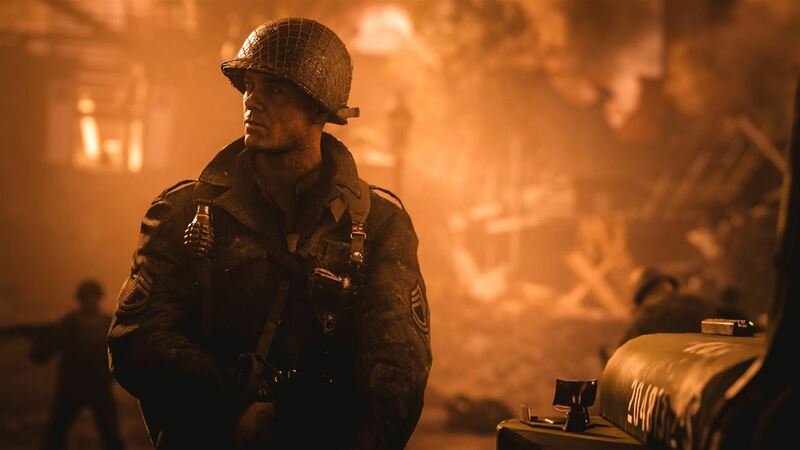 First impressions are that yes, they can, and with a return to the proper boots on the ground combat that has been missing in recent times, and the usual stunning visuals that we have come to expect from a Call of Duty game, the lure of enlisting on an unforgettable journey will no doubt be too much for many to turn down. Can there ever be too much Sonic? Nah, I don’t think so. Sonic Forces is the latest title to make the most of the draw of everyone’s favourite blue hedgehog, as our mate Sonic tries to take back the world from Dr. Eggman and a new mysterious villain – Infinite. You’ll have to build an army in order to take on the chaos and destruction that unfolds, with Modern Sonic’s blazing speed defeating enemies, Classic Sonic being given the chance to catapult through areas and your own Custom Hero being allowed the opportunity to take on Eggman and Infinite with a wide variety of powerful gadgets. Yet again the fate of the world is in Sonic’s hands. Will you help him out? There’s always room for a new loveable video game hero isn’t there? 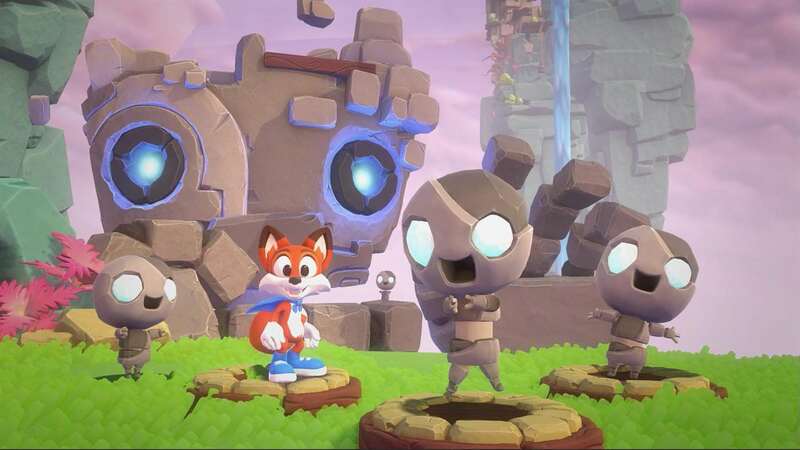 That’s the plan for when Super Lucky’s Tale arrives on Xbox One as we get to go hands on with one of the most delightful looking mascots and heroes from recent years. You’ll need to help the ever-optimistic, hugely energetic little guy muster up all the strength he can in order to help his sister rescue the Book of Ages from a mysterious villain – Jinx. Expect platforms aplenty, loads of hidden secrets, and some glorious mini-games as we get the chance to spend some time with Lucky. Will he be able to mix it with the likes of Mario, Sonic and Crash? We certainly hope so! Being a hero can be hard work – but it can also be fun. And that’s what Ben 10 is aiming for. Get ready to go green as Ben, Gwen, and Grandpa Max take in a cross-country road trip that is cut short by super villains and their evil, world-threatening plans. As Ben Tennyson, it’s up to you to save the world. You’ll find yourself taking on some of Ben’s most infamous enemies – Zombozo, Queen Bee, and the Weatherheads – all as you unlock and transform into all ten of his incredible alien forms. Expect Ben 10 to bring a variety of powerful moves in order to lay the smack-down on multiple enemies throughout three all-new episodes. 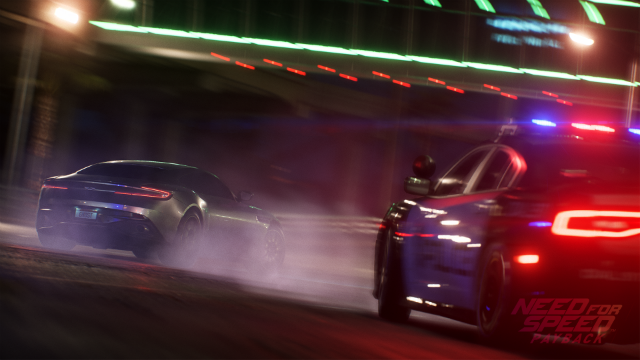 It’s one of the most iconic racing names in gaming history but after being left to play second, third and fourth fiddle to a number of other racers, EA are back with the latest Need For Speed title. Can they deliver some Payback to the competition? Need For Speed Payback is this time set in the underworld of Fortune Valley, and it will be here where you get the chance to take the roles of three distinct, and rather unique characters. Payback will introduce us to The Racer, Tyler, Mac the Showman and everyone’s favourite Wheelman, Jess. Reunited by a quest for vengeance against The House, a cartel that rules the city’s casinos, criminals and cops, it will be up to you to ensure that they succeed. It arrived digitally just a few short weeks ago, but now it’s time to grab the board again and take to the waves as Surf World Series gets a full retail release. If we’re honest, we’re not really sure why that is occurring though as the digital version hasn’t exactly been ripping up the waves. Instead it has been left to tootle along with dodgy controls, a lack of variation in locations and some rather tedious competitive options rolling on a loop. We have to admit that it looks decent enough and the audio will just about suffice, but other than that, Surf World Series is a bit disappointing. But hey, at least if you buy it physically you can trade it in again. Might be an idea to read our full review first though. 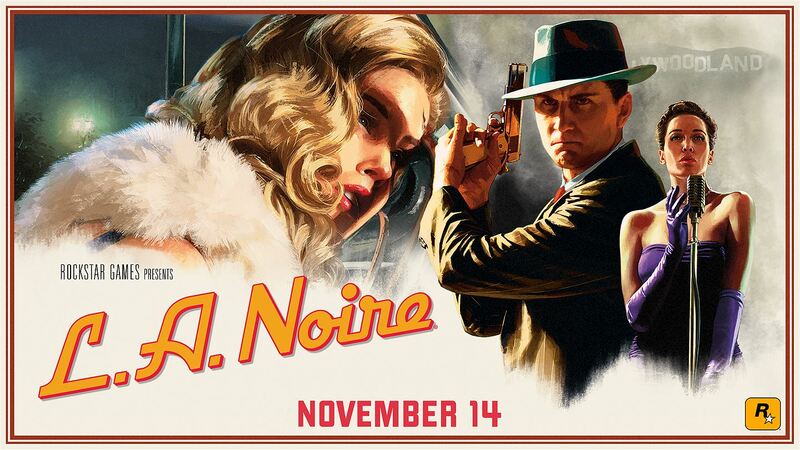 We first got to take in the violent crime thriller that is L.A. Noire way back in 2011 on the Xbox 360. At the time, it looked great and played rather damn well too. So what should we expect with the brand spanking new Xbox One X version? Glorious 4K visuals of course. It’ll soon be time to head back to 1940’s Los Angeles as we step into the shoes of LAPD detective Cole Phelps once more. With a city on the verge of destruction, due to rampant corruption and an out of control drug trade, you’ll need to help Phelps unravel the truth behind a whole series of crimes that threaten to push L.A. to the brink. Including the full original game and all its DLC, plus a decent smattering of new collectibles, special abilities and new detective suits, L.A. Noire in 2017 could well be a technical and graphical masterpiece. We can’t wait! It should have been arriving last month, but now it finally looks like we’ll get the chance to channel a bit of Road Rage. You’ll need to race, you’ll need to fight, and you’ll most definitely need to hustle as you attempt to climb the ranks of one of the most insane outlaw motorcycle gangs in town. With an open world ready to explore, a huge variety of missions and objectives and the chance to check out some insane weaponry, Road Rage promises to tick all the boxes. At least if you like motorcycles and violence anyways! The first time EA decided to deliver the Star Wars Battlefront world to the latest generation of gamers, it went down reasonably well. Yes, there were some quarters who complained of a lack of initial content, and the fact that the full Season Pass was really the only way you were ever going to get the full experience said a lot about the whole process, but now EA are back and Star Wars Battlefront 2 will look to take things on to another level once again. 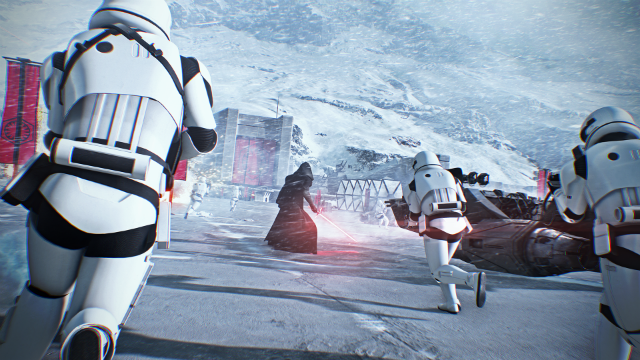 From where we’re sitting, heroes are born on the battlefront, and Star Wars Battlefront 2 will see you playing as heroes from all three eras of the Star Wars universe, as you set to right wrongs in massive battles across some of the most iconic of locations. And that’s not mentioning the thrilling single player story driven campaign which will see Iden Versio fight to avenge the Emperor. We’ve got the quality football games, and there’s even the odd rugby title ready to deliver joy to fans of that sport. But cricket? What does cricket have? Well, it’s got the Ashes. And that seems like a cracking place to start. Ashes Cricket will be hitting our consoles to coincide with the start of the bi-annual fight for glory between the English and the Aussies, with the promise from Big Ant Studios being that of the finest cricket game ever created. Whether that promise holds out or not, we’ll only know for sure come the big release day, but should you be a fan of cricket, or are slowly getting hyped up for the first ball of the Ashes, then the fully licensed Ashes Cricket should be the game for you. 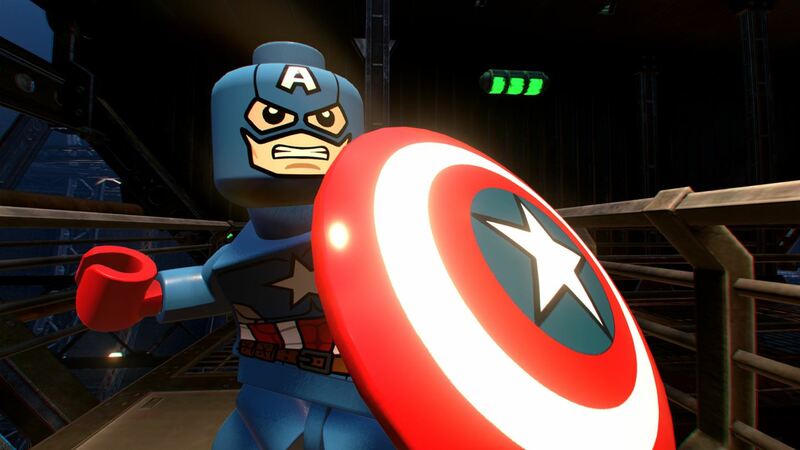 Whether you want to play as the Guardians of the Galaxy, fire some webs as Spider-Man, cackle till your heart’s content with the Green Goblin or just get your LEGO fix sorted, LEGO Marvel Super Heroes 2 will be the game for you. A huge roster of your favourite Super Heroes and Super Villains will see you given the opportunity to play through things however you see fit, as you try to conquer an all new adventure that pushes you through time and space in order to take down Kang the Conqueror. From Ancient Egypt, The Old West and New York City in 2099, block busting and building opportunities will be yours as the Marvel Heroes get a foothold and show Kang the way forward. Just remember though, that LEGO addiction will no doubt grab you once more! So that’s your lot. Which of the games listed above will you be picking up? Don’t forget to hit us up on the usual social media channels, or by posting in the comments below. We’d love to hear from you. Next articleFirst Destiny 2 DLC Trailer Drops!